MG Norman Daniel Cota, Sr.
Norman Daniel "Dutch" Cota, Sr.
Norman Daniel Cota, Sr. was born on 30 May 1893 in Chelsea, MA, the son of George William Cota, a former railroad telegrapher (later a merchant), and Jessie H. Mason, a school teacher who came from Croatia. He attended Worcester Academy for three years beginning in the fall of 1910. While playing football there, his teammates nicknamed him "Dutch" and the name stuck with him, although its origins remained unclear. In June 1913, he was accepted to the U.S. Military Academy. He and the rest of his class graduated two months ahead of schedule in April 1917 because of America's entry into World War I. Cota (class of 1917) and Dwight D. Eisenhower (class of 1915) got to know one another while playing football at West Point. They became and remained good friends. After being commissioned as a Second Lieutenant of Infantry at graduation from the Academy, Cota was quickly promoted to First Lieutenant and then to Captain, after only a few months. After 18 months of active duty, he was a Major. He was assigned as an instructor at West Point shortly before the end of the war in 1918, and served there until 1920. In 1919, the now peacetime army underwent "massive downsizing" and Cota was reduced in rank to Captain. 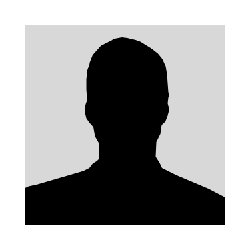 While Post Financial Officer at Langley Field, VA, in 1922, he was held personally responsible when the post was robbed of $43,000. It took an appeal to Congress for him to be absolved of having to make good the loss. He later served in Hawaii (1924–28) and graduated from the U.S. Army Command and General Staff College (CGSC) at Fort Leavenworth, KS, in June 1931. He was an instructor at the Infantry School (1932–33) and graduated from the Army War College in 1936. He was an instructor at the Command and General Staff School (July 1938-November 1940). He then became the Executive Officer for the 1st Infantry Division's 16th Infantry Regiment at Fort Jay, Governors Island, NY. At the outbreak of World War II, he was the G-2 Officer (Intelligence) and then G-3 Officer (Plans and Training) of the 1st Infantry Division from March 1941 until June 1942. In June, he was promoted to Chief of Staff of the Division, a position he held until February 1943. In February 1943, right after his involvement in the invasion of North Africa, under the command of Major General Terry de la Mesa Allen, Sr., he proposed a report of an assault division on what would become part of Operation Husky, the Allied invasion of Sicily. 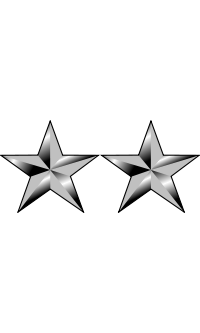 He was promoted to the rank of Brigadier General and was quickly sent to the United Kingdom, where he served as the United States advisor to the Combined Operations Division of the European Theater of Operations. In that capacity, he helped supervise the training for landing operations. Cota was the Assistant Division Commander of the 29th Infantry Division on 6 June 1944, D-Day. Despite being personally opposed to the daylight landings and having lobbied his superiors for a predawn assault, Cota did not allow this to get in his way at Omaha Beach. While Cota had a far less optimistic view of the daylight landing plan than the high command, even he underrated the extent of the near-catastrophe that awaited V Corps (composed of the 29th Infantry Division and the famous "Big Red One" 1st Infantry Division) on Omaha beach and the 4th Infantry Division on Utah beach. Cota landed with a part of the 116th Infantry Regiment, 29th Division, in the second wave, approximately one hour after H-Hour on the Omaha sector known as Dog White. His LCVP landing craft came under heavy machine gun fire as well as mortar and light artillery fire; three soldiers (including most likely at least one officer) were killed immediately upon leading the disembarkation. One of the highest ranking officers to land on the beaches that day, Cota, working along with one of his Regimental Commanders, Colonel (later General) Charles Canham, personally rallied his pinned-down troops off the beaches and led them inland, telling them, "Gentlemen, we are being killed on the beaches. Let's go inland and be killed." While under fire, Cota walked towards troops from the 5th Ranger Battalion, yelling "What outfit is this?" Someone replied "5th Rangers!" Cota yelled back, "Well, Goddamn it then, Rangers, lead the way!" This was adopted in part as the Ranger motto, "Rangers lead the way." Cota is featured in Cornelius Ryan's book and film, "The Longest Day." In the film, Cota, played by Robert Mitchum, delivers the final line to the driver of a jeep, "OK. Run me up the hill son." Cota's own son, Norman Daniel Cota, Jr., a fighter pilot in the USAAF, flew in support of his father's division on D-Day. Cota was given command of the 28th Infantry Division on 14 August 1944, succeeding BG James Edward Wharton, who had been killed in action. After attempting to trap the retreating Germans at Le Neuborg and Elbeuf on the Seine River, Cota and the 28th Division were assigned to represent the U.S. Army in the parade celebrating the liberation of Paris. Later that year, while in the field, he was promoted to Major General. As Commander of the 28th Infantry Division, Major General Cota was involved in the Battle of Hurtgen Forest, conceived by General Omar Bradley as a direct assault on established German positions in the heavily forested region, positions which significantly favored the defenders. Cota was not pleased with the operations order he was given. It required him to send three regiments on diverging paths to three different objectives. Further, his division would be the only unit attacking on a 150-mile front. His complaints were given little weight by his immediate superior, V Corps commander Major General Leonard Gerow. The northern and southern thrusts achieved little. The center regiment, the 112th, captured two villages and a town, but was eventually driven back by German counterattacks. In an article written for the U.S. Army Combined Arms Center, Lieutenant Colonel (Ret) Thomas Bradbeer identified "three crucial mistakes" that Cota made. First, neither he nor his staff ordered reconnaissance patrols. Second, he selected, sight unseen, an extremely narrow trail as the division's main supply route. Finally, he chose not to employ the extra armor units he was given in support of his infantry, believing the terrain and road system to be unsuitable for their use, whereas much of the forest was in fact accessible. Instead, the tanks were used as supplementary artillery. 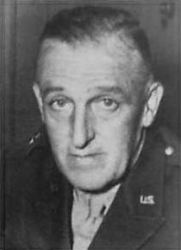 Further, Bradley criticized Cota for remaining in his command post, visiting the front only once late in the fighting, by which time he had already lost control of the situation. Cota's "Pennsylvania's Bloody Bucket" Division sustained heavy losses and failed to secure its objectives. The 28th Division and its attached units suffered an appalling 6,184 casualties; the 112th Infantry Regiment alone had 2,316 casualties out of a total strength of 3,100. While Cota retained command of the division to the end of the war, he had lost his sterling military reputation and the confidence of his superiors, despite the fact that before commencement of operations, he had voiced concerns regarding the plan to those same superiors. Cota reviewed and approved the death sentence handed down by a court martial on Private Eddie Slovik. Cota said that the execution, the only U.S. soldier to be executed for desertion since the American Civil War, was the "toughest 15 minutes of my life." Major General Cota retired from the Army on 30 June 1946. In the late 1950s he was the Civil Defense Director for Montgomery County, Pennsylvania. He also received three foreign medals. The President of the United States of America, authorized by Act of Congress, July 9, 1918, takes pleasure in presenting the Distinguished Service Cross to Brigadier General Norman Daniel Cota (ASN: 0-5284), United States Army, for extraordinary heroism in connection with military operations against an armed enemy while serving as Assistant Division Commander, 29th Infantry Division, in action against enemy forces on 6 June 1944, at Normandy, France. General Cota landed on the beach shortly after the first assault wave of troops had landed. At this time the beach was under heavy enemy rifle, machine gun, mortar and artillery fire. Numerous casualties had been suffered, the attack was arrested, and disorganization was in process. With complete disregard for his own safety, General Cota moved up and down the fire-swept beach reorganizing units and coordinating their action. Under his leadership, a vigorous attack was launched that successfully overran the enemy positions and cleared the beaches. Brigadier General Cota's superb leadership, personal bravery and zealous devotion to duty exemplify the highest traditions of the military forces of the United States and reflect great credit upon himself, the 29th Infantry Division, and the United States Army. Major General Norman Daniel Cota, Sr. died on 4 October 1971 in Wichita, KS. He is buried, with his wife Connie, at the U.S. Military Academy Post Cemetery in West Point, NY. While playing football at Worcester Academy for three years, his teammates nicknamed him "Dutch" and the name stuck with him, although its origins remained unclear.